Nordic's rebranding may indicate that Darksiders 3 is in the works. Darksiders 3 has been looming in the minds of dedicated Darksiders fans for quite some time now. 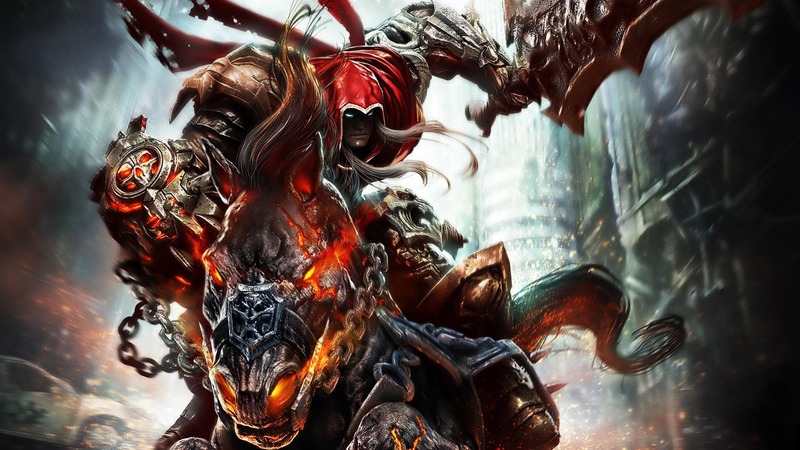 Since THQ shut its doors in 2013, prospects of a third Darksiders game have been slim at best. It doesn’t help that Nordic Games, the publisher that acquired Darksiders and other THQ properties, has been rather vague about the future of Darksiders. However, the recent rebranding of Nordic Games into THQ Nordic has restored hope in many fans that a potential Darksiders 3 could be on the horizon. The Darksiders games feature a stylized narrative inspired by that of the Four Horsemen of the Apocalypse. In the first Darksiders, players take control of War, who is charged with prematurely triggering the apocalypse without receiving the proper orders. Desperate to prove his innocence and restore humanity, War must traverse the remains of Earth’s surface to uncover the true conspirators behind the most epic crime against humanity. The sequel puts players into the perspective of War’s brother Death, who makes it his personal mission to clear his brother’s name. The Darksiders Warmastered Edition reminds us that War's story is all but finished. The events of the two games take place concurrently, leaving players with one massive cliffhanger at the conclusion of both that many had expected would be continued or resolved in a third installment. 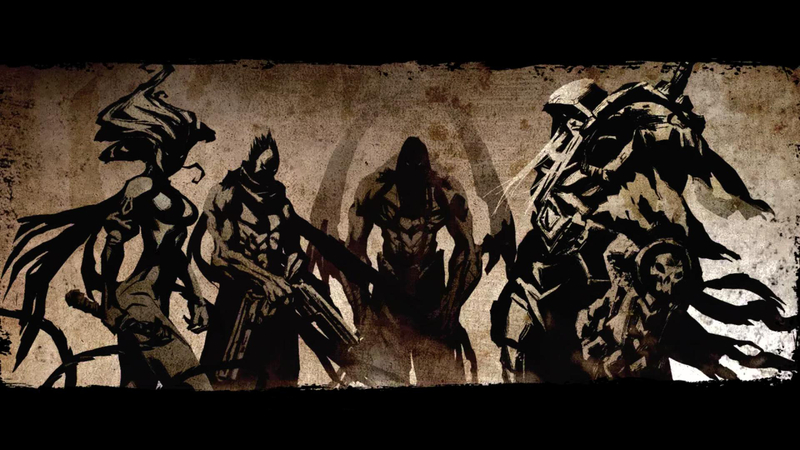 Most fans had also anticipated the introduction of the other two missing Horsemen, Strife and Fury, each of whom have been mentioned within the games and are featured in the official Darksiders novel, The Abomination Vault. According to former Vigil Games creative director Joe Madureira, the development team had hoped to eventually create a four-player co-op game that featured all four Horsemen as playable characters. Inspired heavily by games like God of War, Zelda, and Prince of Persia, the gameplay in Darksiders strikes a unique balance between gritty, action-packed combat and mind-bending interactive puzzles. In fact, it’s the dungeon puzzles that truly make the Darksiders games stand out from other hack-and-slash titles. Anyone who is familiar with the signature dungeon puzzle formula in the Zelda games should appreciate the exceedingly complex puzzles that both Darksiders games have to offer. Darksiders 2 is a bit heavier on the parkour mechanics, but its fluid movement and smoothly-chained combo attacks make for remarkably satisfying combat. After Nordic Games acquired the Darksiders franchise in 2013, the idea of Darksiders 3 has been stuck in a sort of limbo state, at least until the Darksiders 2: Deathinitive Edition remaster. The recent announcement of the Darksiders Warmastered Edition, as well as the rebranding of THQ Nordic has restored hope in the stagnant franchise, with many believing these to be signs that a third installment is in the works. Many fans hope that a potential Darksiders 3 would bring a proper conclusion to the four horsemen's story. There’s a high chance that these remastered editions were created to gauge potential interest in a third game. However, if the rallying forces of the internet are any indication, one look at any comment section pertaining to anything Darksiders will reveal a vocal audience, brimming with hope for a trilogy at least. This is, of course, easier said than done. Since the dissolution of THQ, and subsequently Vigil Games, the original minds behind the Darksiders franchise have since gone in separate directions. Some of the core Vigil developers went on to form the new studio Gunfire Games, while others founded Airship Syndicate to work on a video game version of Joe Mad’s Battle Chasers. Although THQ Nordic will likely try their best to recruit as many core Vigil team members as possible, fans should temper their expectations for Darksiders 3 in the event that the original visionaries are unavailable for it. For now, Darksiders fans are still left in limbo alongside fellow Half Life enthusiasts, anxiously awaiting the slightest hint of a third installment to their beloved franchise. Darksiders deserves a proper conclusion to the intriguing narrative that fostered such a loyal following. The reveal of THQ Nordic may be a promising clue as to whether Darksiders 3 is secretly on the horizon, but only time will tell.